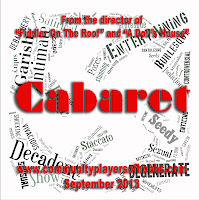 The Community Players of Hobbs: Only three weeks until "Cabaret" opens...do you have your tickets yet? 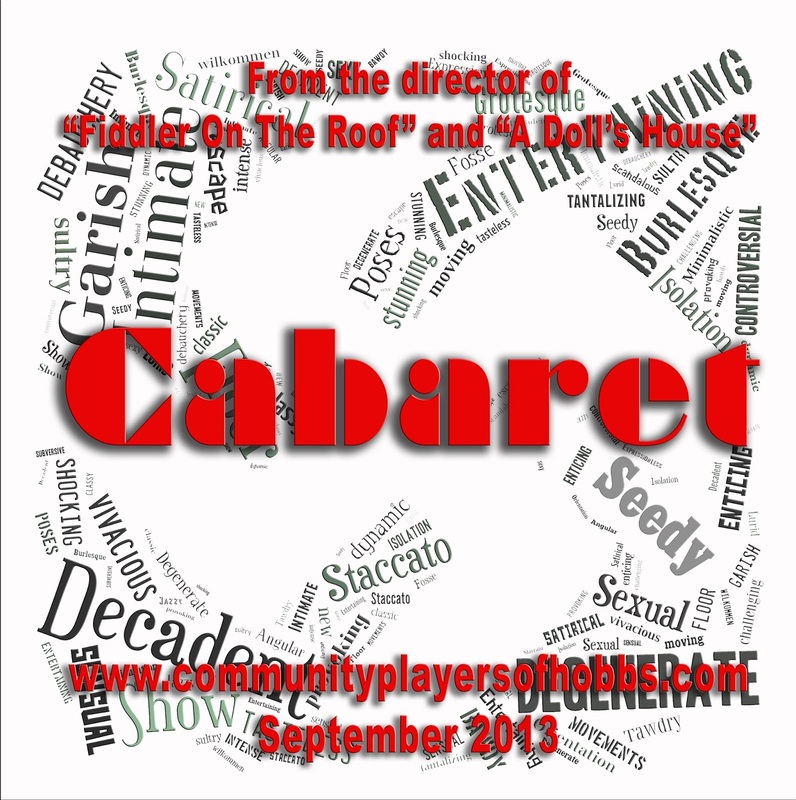 Only three weeks until "Cabaret" opens...do you have your tickets yet? Come to the Kit Kat Klub, where Sally Bowles (Kristen Hester) and the mysterious Emcee (Miles Wiseman) sound the clarion call to decadent fun. But even as Sally's attraction to American writer Cliff Bradshaw (Jonathan Bertschinger) turns into a passionate romance, outside the Nazi party begins its rise into a brutal force, and events are set into motion that will lead to one of the darkest chapters in human history. From the director of Fiddler on the Roof and A Doll's House comes a musical experience like no other, featuring classic songs such as "Willkommen", "Two Ladies", "Money", and "Tomorrow Belongs to Me". Tickets are on sale NOW (click here). 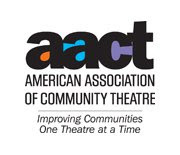 Show dates are September 13, 14 (8 PM), 15 (2 PM), 19, 20, 21 (8 PM).